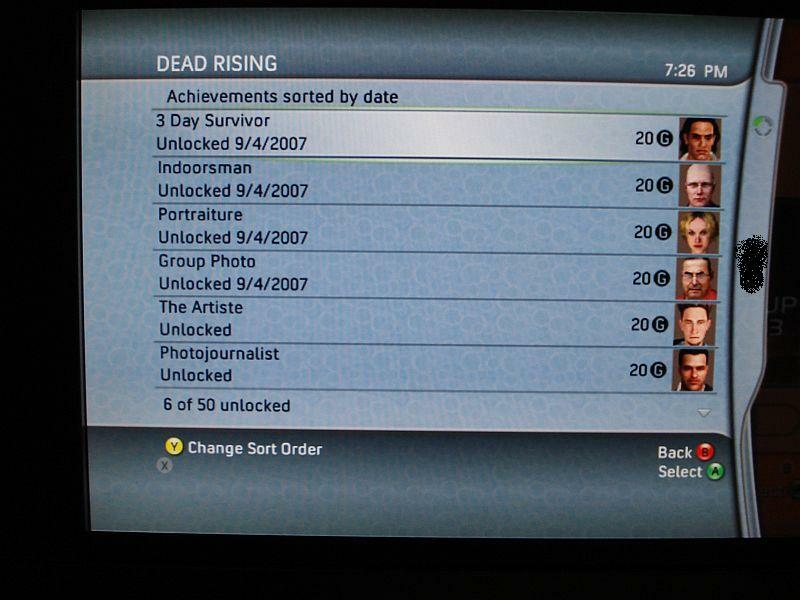 I tried to run through Dead Rising a couple of times, and didn’t do very well. Attempt 1 (several months ago): Die to first boss fight after not having saved for over an hour. Put the game aside in disgust, not realizing that I can just start over and keep all the XP I’ve gained. Late last night: pick it up again. 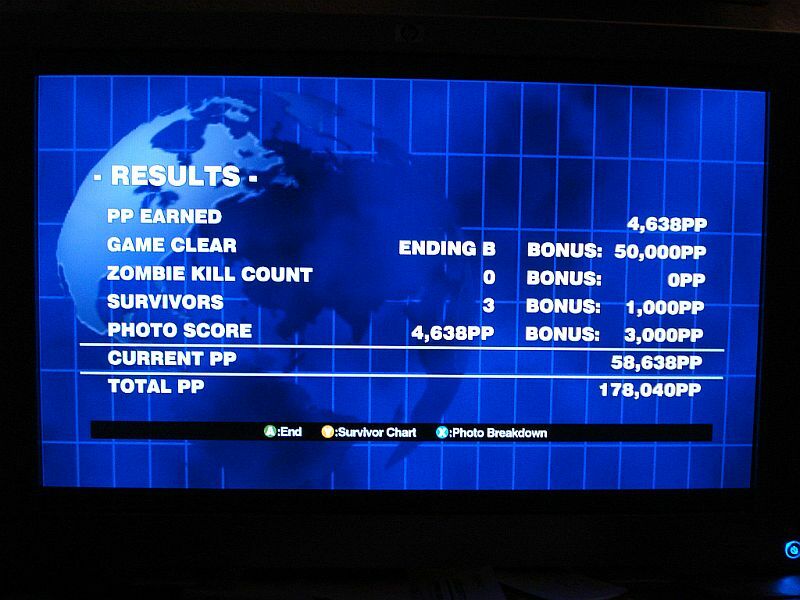 Attempt 2: Beat first boss, but let Brad die to zombies. Attempt 3: Beat first boss, keep Brad alive, actually progress the story a little ways, then die trying to get in to the security room through a door that I’d forgotten was now welded shut. Attempt 4: I started attempt 4, and then had a thought. Time progresses at a fixed pace. My helicopter pilot will be back in 72 game hours (6 real-world hours) regardless of what I do, right? I came home from work on my lunch break. I started a game. I took some photos of Willamette as we flew over it. I got Frank to the couch in the security room. I saved there. And went back to work. I figured I’d come home and find myself eaten by zombies anyway. Five hours later, I got home from work. Frank was still standing there, so I took him up to the roof, then went and browsed Kotaku and the penny arcade forums for a while. Right on schedule, my helicopter landed and I got 20 points of Gamerscore for surviving for 3 days. It seems as though I’d also gotten 20 Gamerscore just for staying inside so long. I got 50000 bonus XP for living, and gained two levels. Obviously I didn’t get the “good ending”, and I’m not going to count this as “beating” the game, but I thought it was pretty funny.